Although various soldering techniques have been invented and applied in manufacturing field today, “iron soldering” remains the most technically established and stable technology, which provides high mechanical strenght and reliability. The soldering cell is designed around the UNIX-700FH-55 SCARA soldering robot from Japan Unix. 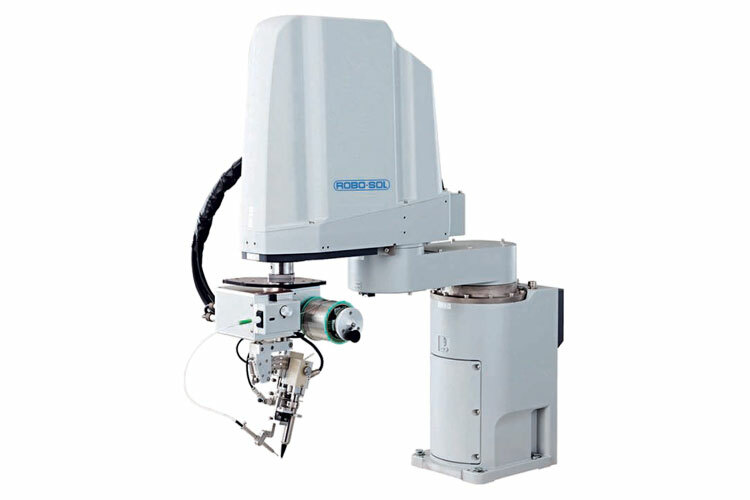 The soldering robot is a SCARA 5-axis robot that offers a fast speed of up to 8,300 mm/sec and has high repeatability and rigidity. The axis stroke length is of 550mm, it is a versatile robot suited for tip soldering technology. Carriers where soldering is required on individual PCB’s. 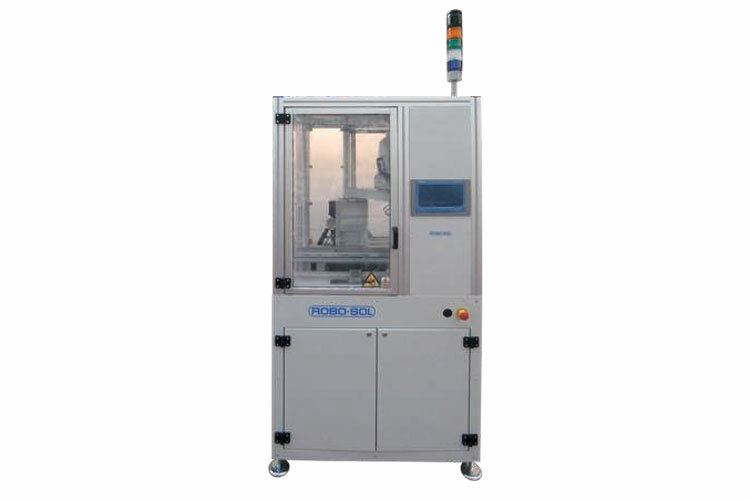 • The soldering cell is designed to work as a fully automated in-line module. • Soldering routines are programmed with the help of the teaching pendant or by Japan Unix developed software and stored on the Unix controller. • The controller can store up to 495 programs that can include up to 21,000 steps. • The system can be programmed to solder, point, arc or line. • Automatic tip correction X/Y/Z.